With so many users being mobile and using mobile devices, the ability to print from this device is becoming more and more important. being able to print to the printer back at the office or to a printer in another office, can be accomplished through remote printing , printing from a device that doesn’t normally have print capabilities can be accomplished by installing an app on the device and using cloud printing . or, you might need t print handout to a printer at a hotel or conference center, this could be accomplished through cloud printing many times. The good news comes when printers manufacturing companies created print servers which can be accessed through their app on your mobile devices. Example includes Epson, and HP. The process requires that the print job be sent o the manufactures print s server, then printed at the printer detected by the application. The printer might be in different location like in a hotel, school, or a conference hall or even at a copy shop. All you need do at this time just to pay for the page your printing for using the printer. There are occasion where you might not want anyone to see your print job, probably you’re printing an interview questions, exam questions or even personal materials, in this print job you should wait to print until you’re near a public printer. Some cloud printer applications provides you with the code that’s can hold the print job on the printer server until your, the user enters the code that they emailed to you. The process will require that the code be entered directly on the physical printer to enable or release the process from the print queue to the printer. One cloud printing solution I know that I have being working with is the Google Cloud Print. This works with both newer and older version of printers. It permits you to use your printer and also make it available to you to see or users you specify. Users can then print from any web connected device that has the ability to print. While most of the cloud printing print services, requires accomplishing their service by, using special application available from the providers of the service. This application typically uses TCP, Bonjour or Air print from your operating system along with print drivers and apps for user to select where to print. A user does not necessarily need to install any print driver for the selected driver when using the Google Cloud Print service. Print from a specialized printer you don’t have in your office. How to set up a cloud printing. To print with Google Cloud Print, you must first set up your printer with Google Cloud Print from a computer or mobile device. You can print from an Apple iOS device, but first Google Cloud Print must be set up from a Chrome book or computer. Print documents, email, images, and WebPages from your computer, Chrome book, Android, or Apple iOS device using Google Cloud Print. On your computer or Chrome book, open the Chrome browser, and then sign in to your Google account, if necessary. Now scroll down to the Google Cloud Print section towards the bottom and click “Sign in to Google Cloud Print. This will enable the Cloud Print Connector on your computer. And then, a list of your Google Cloud Print printers displays. You’ll receive a confirmation if everything worked properly, and it’ll offer a link called “Manage your printers.” Click on it to verify all the printers on your computer are now listed. After the recipient accepts the offer, your Google Cloud Print printer displays as an option for the recipient when printing from the Chrome browser. Strangely, there is no Windows app for Google Cloud Print but there is one for Mac OS X. It is aptly named Cloud Printer, and you can download it for free on the Mac App Store. It’s not a perfect application, as it can only handle documents that Google Docs can view. Also, it doesn’t function like an actual printer and instead requires you to choose a file you want to print from the dedicated app. You can, however, follow these instructions to use Automation to set up a virtual printer if you really want to use the standard print dialogue. Even with these disadvantages, it’s still a simple (and free) way to print from your Mac without the aid of Google Chrome. Printing from your Android Smart Phone. 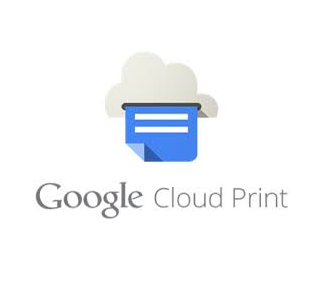 Google Cloud Print has tons of support in Android, of course, with a dedicated Android app and cloud printing support in the Google Docs Android app. You can also use third-party apps such as Printer Share Mobile Print and Easy Print to get even more printing support out of Android. iOS users can check out Print Central Pro for iPhone and iPod touch or iPad to print with Google Cloud Print as well. Any mobile device can utilize cloud printing services by simply using Google’s mobile web apps. Just visit m.google.com on your mobile device to get started.